Leicester City striker Jacob Blyth has joined League One strugglers Blackpool on loan for the rest of the season. The Foxes signed the 23-year-old from non-league Leamington in 2012, but he has yet to make a first-team appearance for the current Premier League leaders. Blyth has had five loan spells in the Football League, scoring five goals in 23 league games to help Burton win promotion from League Two last year. 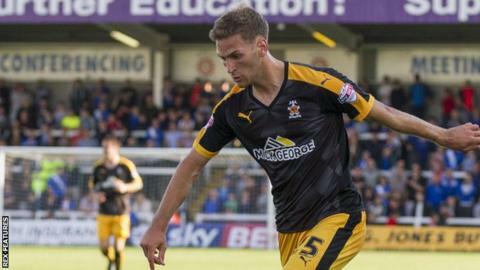 He also had a six-game loan spell at Cambridge earlier this season.